A truly stunning wing chair with a fluted back, offering great comfort and style. 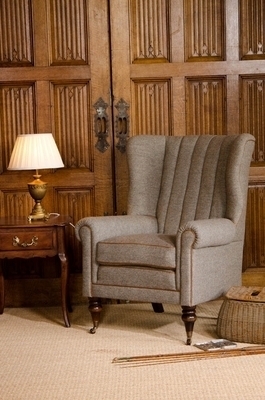 This occasional chair will look great with any of the other sofas in the Harris Tweed Collection. Made in Great Britain with turned hardwood legs with antique brass castors. with Brompton Tan contrast Leather.